Inary McCrimmon has a gift. She can see people - ghosts - after they've died. Where she comes from they call it The Sight. But after a traumatic experience at the age of twelve, her gift has vanished. Now, fifteen years later, Inary is called away from her busy London life back to her home in Glen Avich. Her sister Emily is dying and moments after she passes Inary begs for her gift back so that she can say goodbye properly. Instead, she suddenly loses the ability to speak - except to two ghosts, neither of which is her sister. As Inary learns to communicate in other ways, she begins to open up through writing, her lifelong passion, to those closest to her. There's her brother Logan, who resents Inary but knows that she is now the only family he has left; her best friend Lesley in London who she has relied on through thick and thin; Alex, who could have been the one; and Taylor, the handsome American who wants to help mend her broken heart. But, for Inary, all is not as it seems. 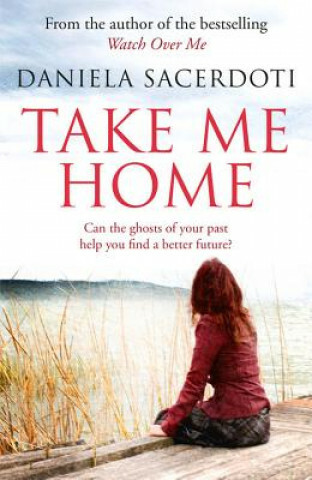 Her ghosts have harrowing and heartbreaking stories to tell and when one of them keeps repeating, 'Take me home,' Inary knows she must unlock this mystery to set herself free. Against the backdrop of a Scottish Highland community, Take Me Home is a beautiful story of love, loss, discovering one's true abilities and - above all - never forgetting who you are.